Ladbrokes Ireland aim to deliver the highest possible quality of customer service and with this comes the need for training with a strong emphasis on client contact. The challenge for Ladbrokes then, was to achieve the twin objectives of delivering the right training at the right time to a large, dispersed workforce whilst simultaneously achieving significant cost reduction. A new development programme was needed using a blended approach, moving between eLearning, classroom, group discussion and skills practise. This also encouraged learners to take ownership and responsibility for their own progress. Content was derived from the best elements of existing manuals but with the addition of material created as a result of extensive staff and customer surveys. Delivering unified training to employees who are widely dispersed requires an emphasis on eLearning with a significant amount of what was being delivered in the classroom made available on-line. This provides standardised tuition whilst drastically reducing the resource footprint. 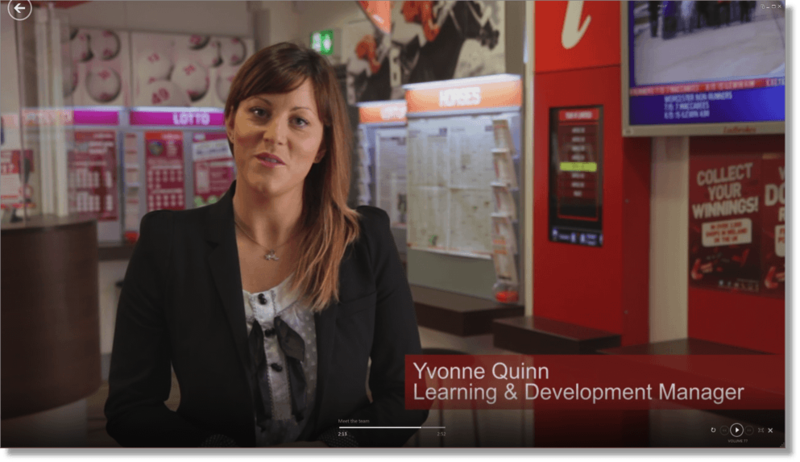 Ladbrokes chose the bxp to deliver the eLearning elements of their programmes. They liked its ability to deliver virtually any kind of material quickly and easily and because of the can-do approach of the bxp development team. Ladbrokes eLearning in bxp has been given a look and feel that is friendly, inviting and has a character of its own. The home page, for example, is simple to use and attractively branded. The system also supports a personal account for each learner that tracks their training and results achieved. Critically the platform can be accessed on any device, from anywhere with an internet connection. 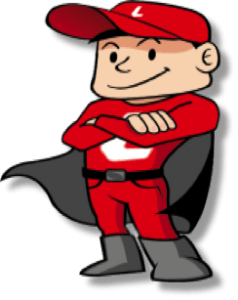 With around 1000 sales staff Ladbrokes Ireland have some twenty to thirty staff in training at any one time and the new structure has cut the time taken to provide this training by around 25% which for Ladbrokes works out to about €120,000.00 per year. It is a fact of business life that if you take people off the floor for training, you must compensate by employing more staff overall. Because of the efficiencies described above, training down-time is reduced and overall this yields a saving through reduced staff numbers of a further €120,000.00.